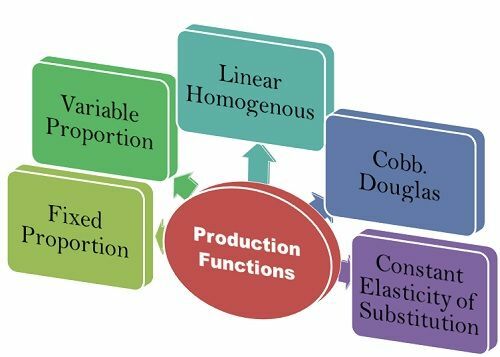 Definition: The Production Function shows the relationship between the quantity of output and the different quantities of inputs used in the production process. In other words, it means, the total output produced from the chosen quantity of various inputs. Generally, production is the transformation of raw material into the finished goods. These raw materials are classified as land, labor, capital or natural resources. These may be fixed or variable depending upon the nature of the business. Thus, it is a comprehensive function that involves different activities ranging from the production of output from the given inputs and its distribution by the marketing division of the organization.